Sometimes you have to make a big leap to make it big in the world. Oftentimes, this includes leaving your native country for new opportunities across the globe. Many successful entrepreneurs had to uproot themselves to find success, and they can provide an inspirational example of how taking such a big leap can pay off with big dividends. Here are just three of them, and the stories of how they got to the top. 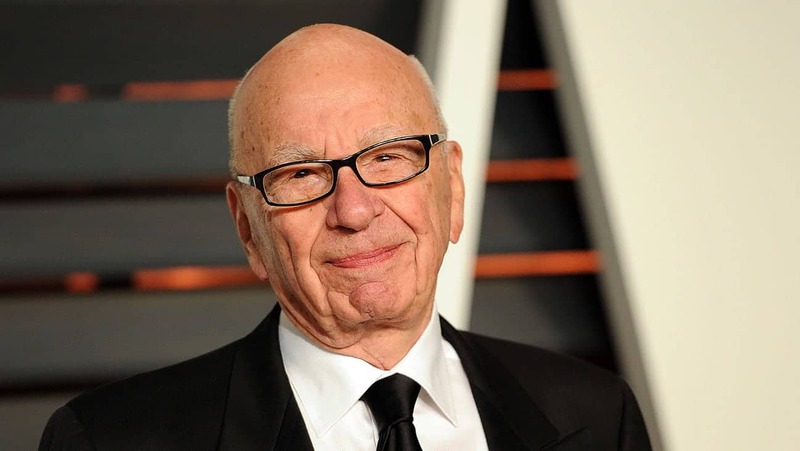 Rupert Murdoch is one of the most prolific businessmen in the world. Born in Melbourne in 1931, Rupert was born into the business world. He inherited Australia’s News Limited from his father at the age of 21 and became the managing director of the media company. But his success was far from handed to him. Throughout the ‘50s and ‘60s, he continued to acquire newspapers throughout Australia and New Zealand, and expanded into the UK in 1969. By 1974, he was in the United States, building business empires there, and he became a naturalized citizen in 1985 in order to be able to own a U.S. television station. His acquisitions continued to grow, and included 20th Century Fox and half a dozen other television stations. Eventually, he built the Fox Television Network and the Fox News Channel. In 1989, he acquired publishing giant HarperCollins, and in 2007, he picked up The Wall Street Journal. This business mogul is one of the wealthiest men in the world, and though he had to give up his Australian citizenship to purchase his U.S. television stations, that big leap gave him huge opportunities to garner enormous business growth and become an influence on individuals around the world. Though he may not be as well-known as Rupert Murdoch, Pete Maiden has made a name for himself in New York City. This business-savvy young man made the move to the United States to pursue his entrepreneurial dreams. He now owns the Australian boutique B_space, which sells brands like Mambo, Driza-Bone, Volley, and Zanerobe—popular brands in Australia, but virtually unheard of in NYC. But that’s not all Pete does. He is also the editor of Billabout.com, a website dedicated to Australian lifestyle, culture, and arts. To top it all off, he also owns his own production company. His growing business endeavors have garnered him a fair amount of attention, especially from other Aussies looking to make the move to the Big Apple. Pete says he’s found New York to be a great place for Aussie entrepreneurs. “In New York, I find it’s very easy to get things done … you can get things done faster than in LA,” he says. “People won’t waste your time.” Looks like this expat won’t be venturing back home any time soon. Sam Ovens started his business career from his parents’ garage in New Zealand, where he created and sold the property management app SnapInspect. Since then, he’s moved to the U.S. and created a business empire called OVENS International. The online learning company is dedicated to helping others start and grow successful consulting businesses using the techniques that Sam himself used when beginning his career—and he’s had thousands of successful students. Each of these entrepreneurs may have had to leave their homes to find the golden opportunities they sought. But those leaps of faith have provided them with incredible entrepreneurial opportunities. It’s something worth bearing in mind, if you are ever facing such a decision yourself.